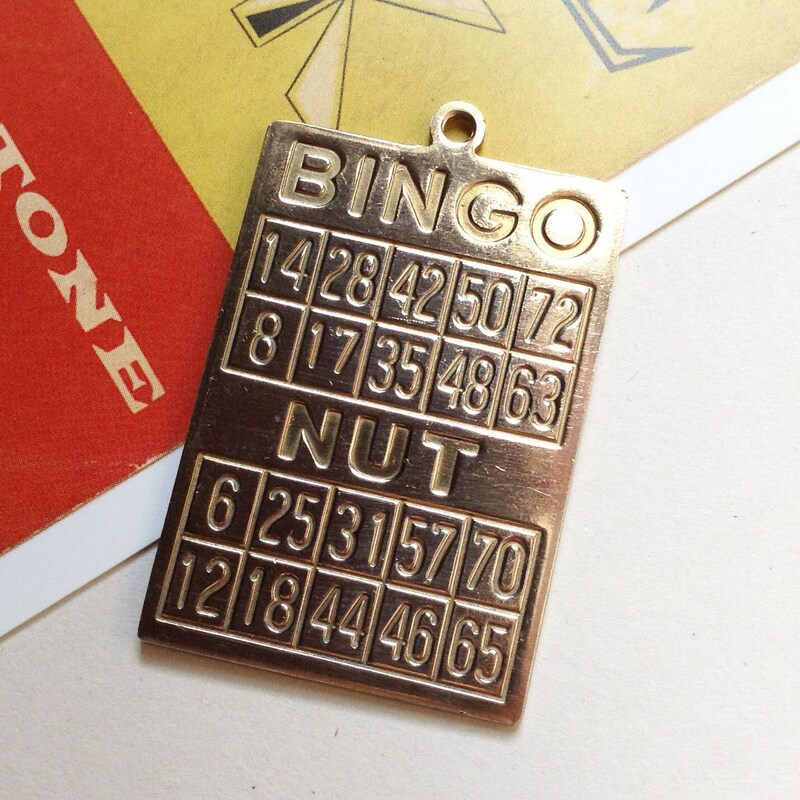 Really lovely quality brass charm engraved with a bingo card design which reads BINGO NUT. The back is plain and flatbacked. May show light signs of patina which can be cleaned to a shine with a brass cleaner if preferred. 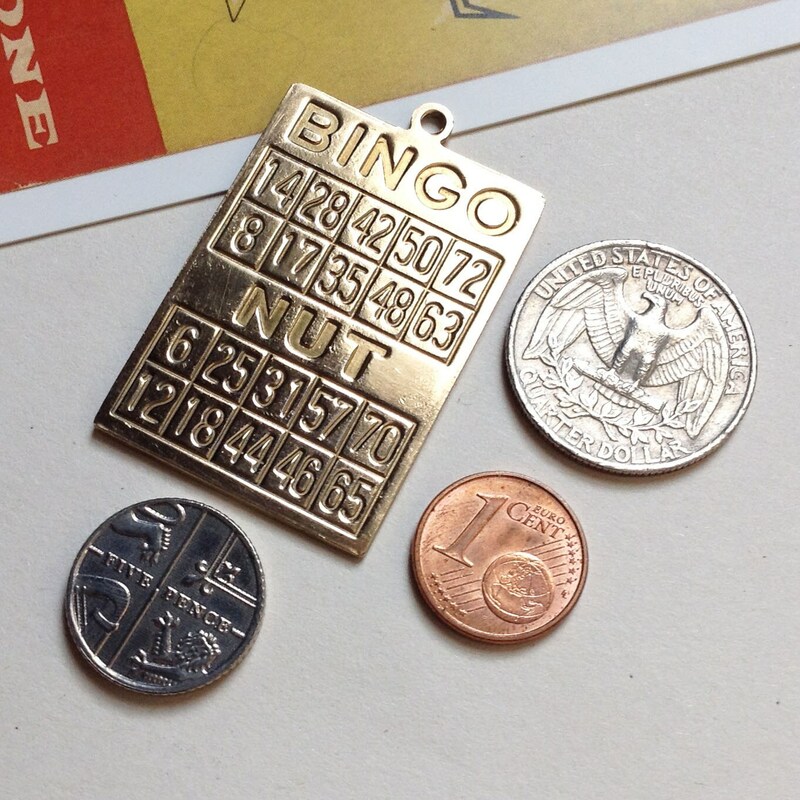 Made in the 1970s USA, this piece works with anything that has a gambling, Las Vegas or Casino theme.